"Spiritual Evolution" is a chill-out electronic music project created by Vitaly Yashkov in 2015. 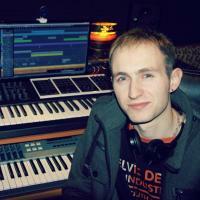 Vitaly was born in St. Petersburg, Russian Federation. His musical education began at an early age, but he was never able to finish his studies. However, the love of music in his life has only become stronger. Experimenting with electronic music, Vitaly always aspired to fill the music with the depth and melody that flowed from his soul. Being a Christian, Vitaly is convinced that man is a spiritual being, and music is the strongest instrument of spiritual influence, reflecting what fills us!